Susanne Gervay is an award-winning author, speaker, recipient of the Order of Australia and all-round dynamo. She rushed into my life last year at the Central Queensland Literary Festival. I had the pleasure of sharing an apartment, and lots of stories with Susanne during our week-long visit to schools in Rockhampton and Emerald. Her energy was infectious whether we were visiting schools, snorkelling at Great Keppel Island or discussing stories. Today she joins me to chat about her beautiful new picture book, Elephants Have Wings, which explores the humanity in all of us. 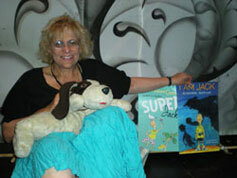 The book is illustrated by award-winning illustrator, Anna Pignataro, who has created more than fifty books for children. JF: Congratulations on your new picture book. Tell us about the inspiration for Elephants Have Wings? SG: Inspired by my journey to India and South East Asia where I spoke in Delhi, Goa and Singapore, I returned imbued with the cultures and spirituality of India and Asia. I experienced the Baha’i Temple in Delhi where I was part of a service under the open-air lotus roof of the temple. Five young people read from their holy books from five different faiths. I also became aware of mystical stories. One was the parable of the blind men and the elephant which is part of Buddhism, Hinduism, Jainism and Sufism. Another was in Hindu mythology, that during the monsoon rains which refresh the earth, the clouds are regarded as the wings of elephants. Young people today are overwhelmed with media reports of terrorism and religious conflict, and it is time to reach out and create a safer world for our kids. Elephants Have Wings came out of this. It would be a gentle, nurturing picture book celebrating family, inter-generational story, beliefs in a world that is both beautiful and threatened, opening discussions of harmony, inclusion and peace. As the daughter of refugees, action for inclusion and peace are personal. I was privileged that Anna Pignataro, also the daughter of refugees, would go with me on this journey. JF: This is your third picture book. What appeals to you about this type of writing? SG: I used to write poetry as a child and also adult. Writing picture books is like a return to this old love. An idea grabs my mind and heart, and with careful words laden with meaning, character and narrative, I use this spare form of writing to create story. However the real gift of writing picture books is working with a talented illustrator. 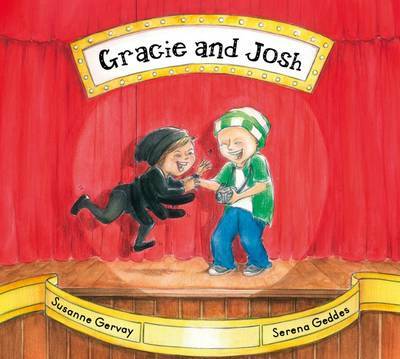 Anna Pignataro and also Serena Geddes (illustrator for Gracie and Josh) bring their narrative story to my words, making the picture book richer, expanding and extending ideas, bringing in their own narrative as well. JF: It’s your second book with illustrator Anna Pignataro, can you give us an insight into that relationship? 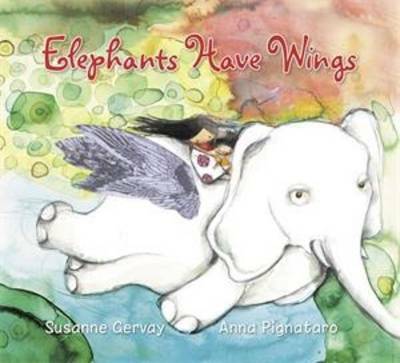 Anna Pignataro and I collaborated closely on both Ships in the Field and Elephants Have Wings. Both are very complex books thematically. Ships in the Field is about a refugee family finding home, while Elephant Have Wings is the search for truth and harmony. We discuss every aspect from ideas, design, symbolism, colour, characters, without constraining each other’s creative style. It is a wonderful collaboration. JF: Apart from being an immensely successful writer, you are also heavily involved with literacy organisations and foundations. What is the reason for this? SG: So much of what I write and do are driven by my refugee background. I deeply understand disempowerment. Without literacy there is little hope of a future. I am very proud to be a Writer Ambassador for Room to Read which has reached more than 9 million children in the developing world with literacy. 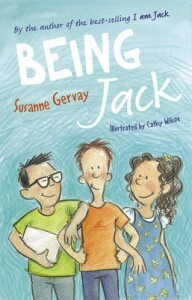 My 4th and final I AM JACK book – called BEING JACK partnered with Room to Read to advocate for literacy for all children. 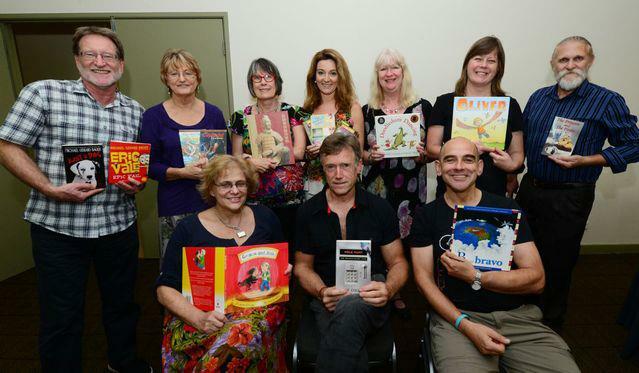 I am also proud to be a Role Model for Books in Homes which takes books to indigenous and disadvantaged Australian children. JF: Most of your work has a deeply personal side. Do you ever worry about sharing too much of yourself? SG: I have great respect for young people who feel so much but have little experience or power to deal with life’s challenges. When I inform my books from personal experience, I risk criticism. That hurts sometimes. However, young people sense truth in what I write, and they find friends in my books, their own answers and pathways forward. They are worth the risk. JF: What’s next for you? I know you’ve been working on a film script. Can you give us any details? SG: I have contracted with the wonderful TV producer who did ‘Round the Twist’ and Animalia’. However that will take several years to eventuate. However the adaptation of my I AM JACK into a play by Monkey Baa Theatre has been extraordinary, touring across Australia and the USA since 2008. There will be another Australia wide tour in 2015 and a USA tour. I was on part of the USA tour this year which was hugely successful and a great experience where I spoke to many thousands of kids and teachers about I AM JACK, did a lot of media and hung out with the Monkey Baa theatre team. My new project is a children’s series called The Tales of Harry at The Hughenden Hotel. Since my children grew up in The Hughenden and I have spent so much of my life here, there are so many funny, sad, moving stories to explore. JF: Thanks for visiting, Susanne, and good luck with Elephants Have Wings. 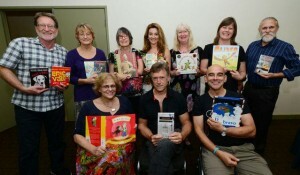 In Rockhampton: Michael Gerard Bauer, Elaine Ouston, Krista Bell, Julie Fison, Meredith Costain, Judith Rossell, Royce Bond, Susanne Gervay, Paul Collins and Kevin Burgemeestre. Julie Fison writes for children and young adults. Her books include the Hazard River series for young readers, Choose Your Own Ever After, a pick-a-path series that lets the reader decide how the story goes, and Counterfeit Love for young adults.